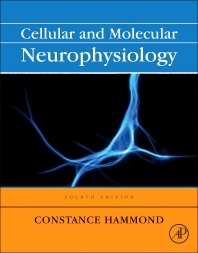 Cellular and Molecular Neurophysiology, Fourth Edition, is the only up-to-date textbook on the market that focuses on the molecular and cellular physiology of neurons and synapses. Hypothesis-driven rather than a dry presentation of the facts, the book promotes a real understanding of the function of nerve cells that is useful for practicing neurophysiologists and students in a graduate-level course on the topic alike. This book will be a useful resource for neurophysiologists, neurobiologists, neurologists, and students taking graduate-level courses on neurophysiology. 16.1. High-voltage-activated Na+ and/or Ca2+ channels are present in the dendritic membrane of some CNS neurons, but are they distributed with comparable densities in soma and dendrites? 16.2. High-voltage-activated Ca2+ channels are present in the dendritic membrane of some CNS neurons, but are they distributed with comparable densities in soma and dendrites? 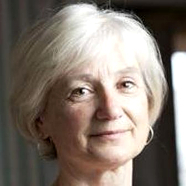 Constance Hammond is an INSERM director of research at the Mediterranean Institute of Neurobiology. A renowned Parkinson's disease investigator, in 2012 she became a Chevalier of the Légion d'Honneur in recognition for her services to scientific communication. Studying biology at the University of Pierre and Marie Curie and the Ecole Normale Supérieure in Paris she completed her thesis in neurosciences at the Marey Institute in Paris, directed by Prof. D. Albe-Fessard. Guided by her curiosity and her constant desire to learn, she changed lab and research domains several times. With the knowledge of other systems and the mastering of other techniques she finally came back to her first and preferred subject of research; the role of the subthalamic nucleus in the basal ganglia system in health and Parkinson's disease. After many years of lecturing neurobiology to biology and psychology students it became apparent that students were in need of a book to help understand the basic principles of cell electrophysiology. Discussions with Philippe Ascher convinced her that the best way to approach the subject was to explain ionic currents and potential changes in terms of single channels and unitary currents, describing pioneering neurobiological experiments. This first book "Neurobiologie Cellulaire" (written in French with her colleague Danièle Tritsch) appeared in 1990. Its immediate success inspired her to completely revise the book content and publish it in English giving it to a larger audience; Appearing in 1996 the fist edition of "Cellular and Molecular Neuroscience" was born.